The color of commercial chili bean pastes can vary from a brilliant and vibrant fresh chili color (the Lee Kum Kee variety is one of these), to a very dark, almost purplish brown. As you can see, the Sichuan Pixiandouban product is somewhere in the middle, although I will say that the slightly orange tint to the red color is something of an artifact of my camera and not quite as apparent in natural light. 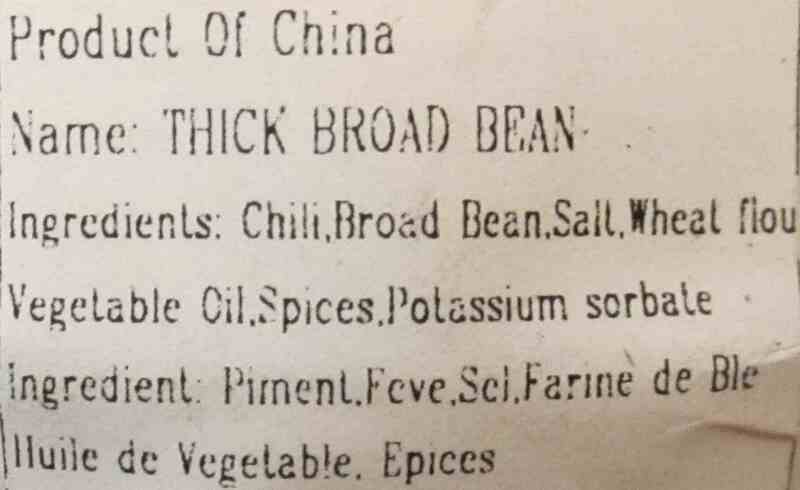 Some chili bean pastes are exceptionally sweet, almost to the point of being cloying, and while this current variety is not (lacking added sugar), it is very salty indeed, so this needs to be taken into consideration when adjusting for total salt content in recipes. The heat is not exceptional, being hotter than Jalapeno preparations, but it is less fiery than those containing Thai Bird’s eye Chili, for example. It is difficult to determine what other spice are used but there is a slight anise quality that could suggest anything from fennel to star anise. A major, not to say essential, use of chili bean paste is in the famous Sichuan ‘fish fragrant’ dishes, as I illustrated in the, somewhat non-standard interpretation, I called Fish Fragrant Pork with Pineapple. Beyond that, it would be hard to make a comprehensive list of dishes in which the paste is used because it is so versatile and employed, not only as the flavor base for many preparations, but as a condiment added both at the final stage of cooking and at the table. 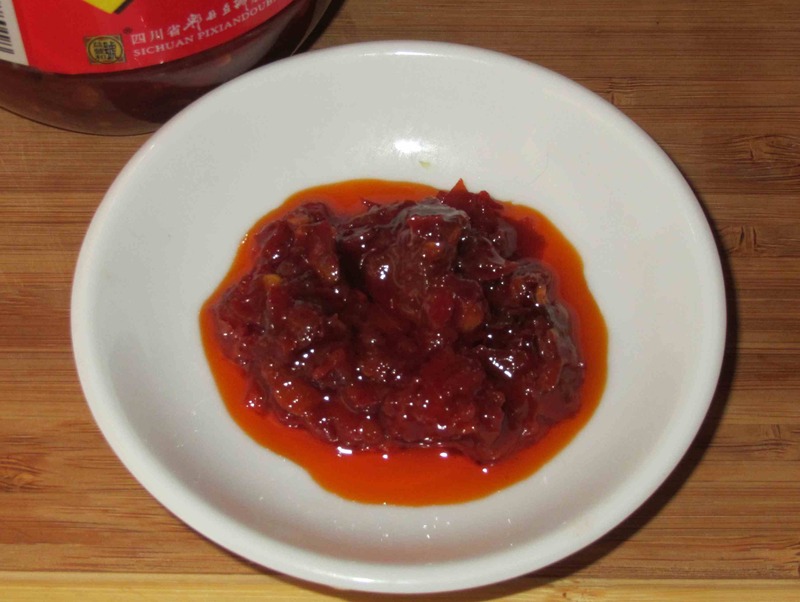 Really, the best way to characterize the versatility is to say that the paste can largely be used in the same manner as any other chili paste or sauce. I love chili sauces, chili oils, etc. They can be salty, though, like fermented black bean salty. Nice review! Thank you … I have another variety from Pixian that comes in a foil pouch I will be trying shortly. I love this stuff, but my family is Cantonese so I’m basically the only one with a love for spice. Thanks for the review! We’re a gaggle of volunteers and opening a brand new scheme in our community. Your website offered us with useful information to paintings on. You have performed an impressive activity and our entire community shall be grateful to you. The Sichuan Pixiandouban Co. Ltd plastic jar in your photo contains MSG, I am told by the manager of a Chinese food shop. I have seen several different importers labels which use terms like “taste” and “spice powder”. This makes me wonder if their flat packs have MSG too. 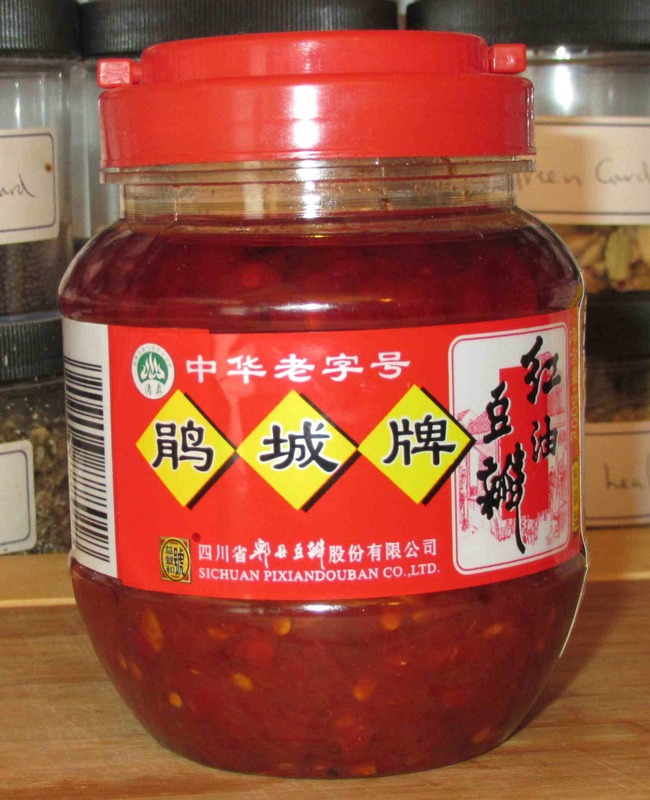 I live in Los Angeles and have read about the Sichuan Pixiandouban Co. Ltd. bean paste in a couple of places. Can you tell me where I can buy it?